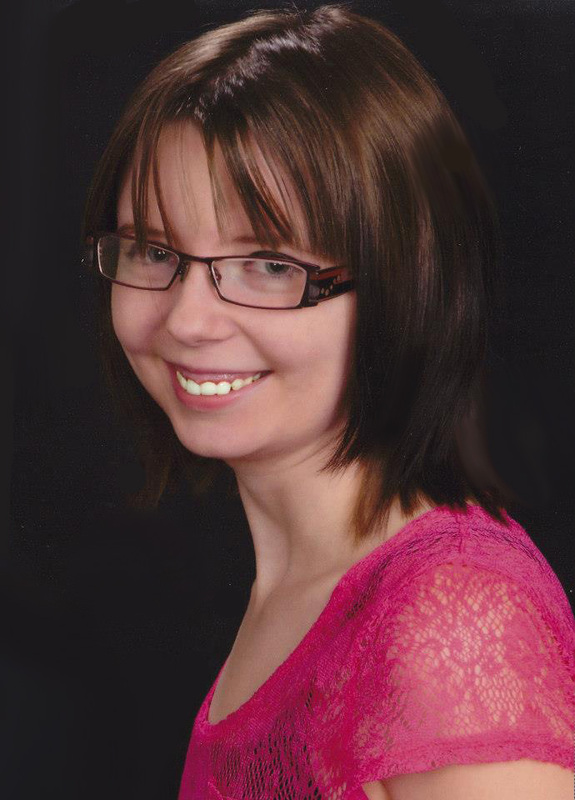 Makayla Yokley is a college student who lives in Kansas with her somewhat evil cat named Cujo. She likes to write fiction of all genres. Currently she is majoring in Liberal Arts. If you could live in any book “world” which book would it be? That’s a pretty big blank check! Let’s see… if I could choose any book world to be in I think I’m at a tie between Laurell K. Hamilton’s “Anita Blake” world, J.K. Rowling’s “Harry Potter” world (naturally!) and Lewis Carroll’s “Alice in Wonderland” world. I wish there was some way to Frankenstein them together and create some horrible post-apocalyptic netherworld of magic, vampires, nonsense, necromancy, and boarding schools. That actually sounds like a pretty horrible place to be! Everything! I remember wanting to be everything from a writer to a pirate, to a female version of Willy Wonka. I wanted to be a paranormal investigator (Still kind of do! ), when I was a little kid I wanted to be a lawyer until I realized how much legal jargon there was— but no matter what I wanted to be, I always seemed to come back to wanting to be a writer. Luckily, as a writer, I can be all those things and more without ever having to leave the comfortable safety of my home! What was your favorite book as a child/teen? I was super into Lemony Snicket’s “A Series of Unfortunate Events” for most of my childhood. I don’t know what it was about that story, maybe it was the delightful quirkiness, but it kept me interested for a long, long time. I was even allowed to skip a day of school to go see the movie when it came out! You are stranded on a deserted island, what 3 things would you want? A laptop with unlimited power supply and the ability to log onto the internet despite being on an island where there probably isn’t any; a stack of really good books; and my piggy flashdrive that has all my important files on it. I’ve never been to a beach, so I’m gonna have to go with pool. If you had a time machine where would you go back in time or ahead? And who would you like to visit? Hold on, let me suit up my Delorian! It would be so much fun to go back in time and talk with Emily Dickinson. We learned all about her in my American Literature class in college and it would be nice to be able to sit down and chat with one of the greatest poets to ever have lived. I’d also want to go back and talk to Edgar Allan Poe, though I imagine our conversations would be brief because he doesn’t strike me as the kind of guy who would be willing to sit and chit-chat for an afternoon while drinking tea. Though he might, it’s not my place to judge. Any advice for writer’s just starting out? Don’t kill yourself over the first draft. 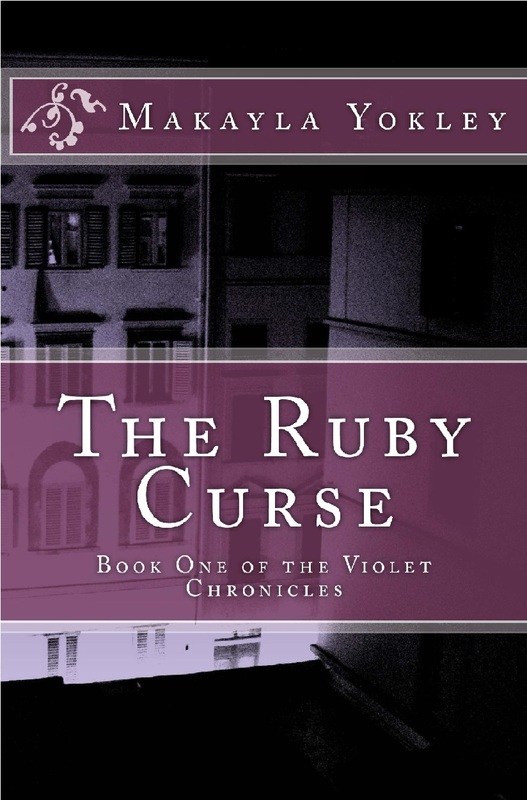 The reason it took me two years to get “The Ruby Curse” out into the world was because I put too much pressure on myself to get the first draft absolutely right. It took a whole year for me to realize that the first draft isn’t meant to be perfect at all. Don’t let that inner editor slow you down in this stage. Breathe in the creativity and enjoy the ride because this is the one time when it won’t do you any good to put pressure on yourself. Also, join a writer’s organization/critique group. When I decided to join the Kansas Writer’s Association it turned out to be the very best thing I could’ve done. From then on I’ve only made progress. Progress in my writing, progress in my personal life, everything! You could meet some really cool people who would help you achieve your dreams and give you the confidence you need. I actually had to do a speech in my public speaking class about this! I hate when people use blatant pop culture references in television shows. In some of the shows I watch they talk about “Facebook” and “Twitter” and various band names that are popular at the time of the mention. I find this a little bit obnoxious and like they’re shoving it down my throat. Even if they mention something I like, it’s a problem for me. I’m not watching this show to be reminded of reality, I’m watching to be brought into a different one. The MINUTE they mention anything popular from this world it completely destroys the illusion. 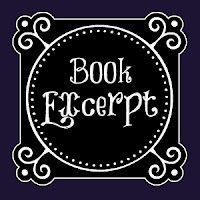 You should read my book because it's a unique look into the eyes of a girl who's chosen for a fate she wants nothing to do with. To be able to explain this you have to know that since I moved to campus, I’d taken a job working with the library there. My boss has a daughter who owns a library, and when she told her daughter that I’d written and published a book, her daughter asked me to come and speak at her library about it. That hands down was one of the most rewarding experiences since I got published. Currently I’m working on the second book in the “Violet Chronicles” series, Briar Light. It’s on its second draft and still a little rough around the edges, but after I send it through my critique group most of the problems should be ironed out. I’m also working on a few other projects that are so far on the backburner that it’s hardly even worth mentioning. Just some ideas I’m playing around with to keep me occupied until I work through the problems I’m having in Briar Light, which takes priority over everything else. Heroes come in all shapes and sizes... though they're not usually escaped convicts. 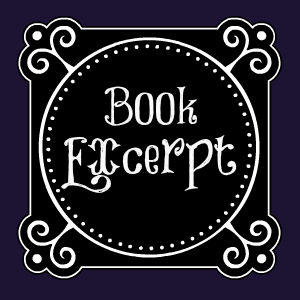 Seventeen-year-old Violet Seymour is the only person to ever escape the highest maximum security prison in the steam-and-clockwork powered nation of Arcova. She is also a link in an ancient bloodline of heroes. 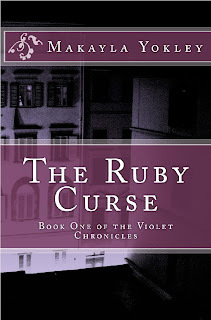 When mages start going missing, Violet is the only person who can find them. I gripped the bars, feeling the subtle serration in the slick metal. Slowly I took in a deep breath of air, sticky with the summer heat, and released it slowly and with great focus. Nothing else mattered but the almost painful constriction of my lungs beneath my ribcage. A supernatural warmth rushed over me, riding on the back of each breath. I felt it soaking my muscles and my blood. It was euphoric. Bones snapped mercilessly under my skin. They shifted and twisted and grew. I bit on the inside of my cheek to keep from screaming, but ended up drawing blood instead. My fingernails grew slowly, sharpening until they were four small knives slicing my palm open. Blood flowed freely down the length of my hand. I knew that strange, warm wetness anywhere. It dribbled off my wrists and onto the floor. One feeling always begets another. When each breath became a labored chore and I felt my shoulders grinding together, separating and morphing my tiny frame into something else entirely, I yelled and my eyes flew open. So what do you think? Are you adding it to your TBR list? Let me know!